We cut short our stay in Naples, leaving behind that big snowbird city with its commercial developments and traffic noise. 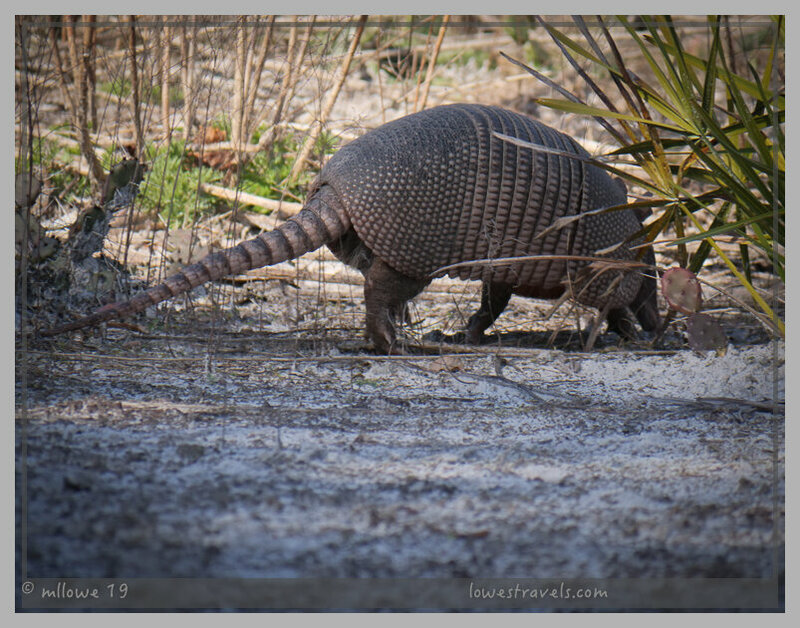 We were eager to re-visit the “Nature Coast” along the inside curve of the state’s panhandle, remembering how much we’d enjoyed this area on our last visit five years ago. 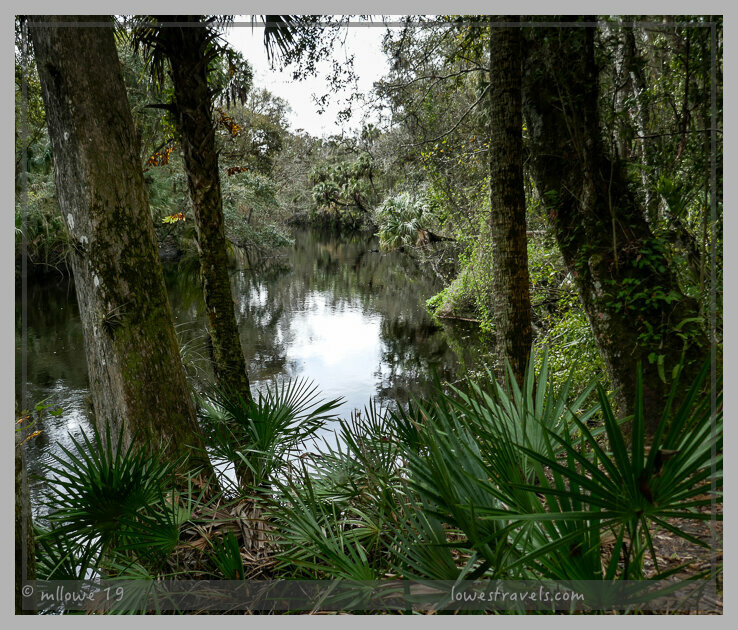 We had reservations at Crystal River and Perry, plus two nights we snagged at Hillsborough River State Park. 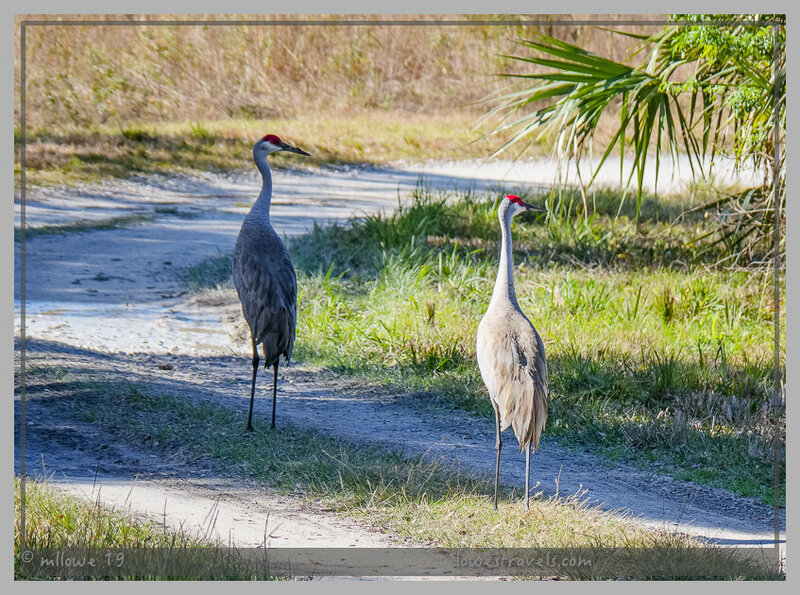 This part of Florida is known for being a nature lover’s paradise where folks can experience “the real Florida” in laid-back fashion. We’re all over that! This is a part of Florida that we really like! This gnarly old oak tree was amazing! 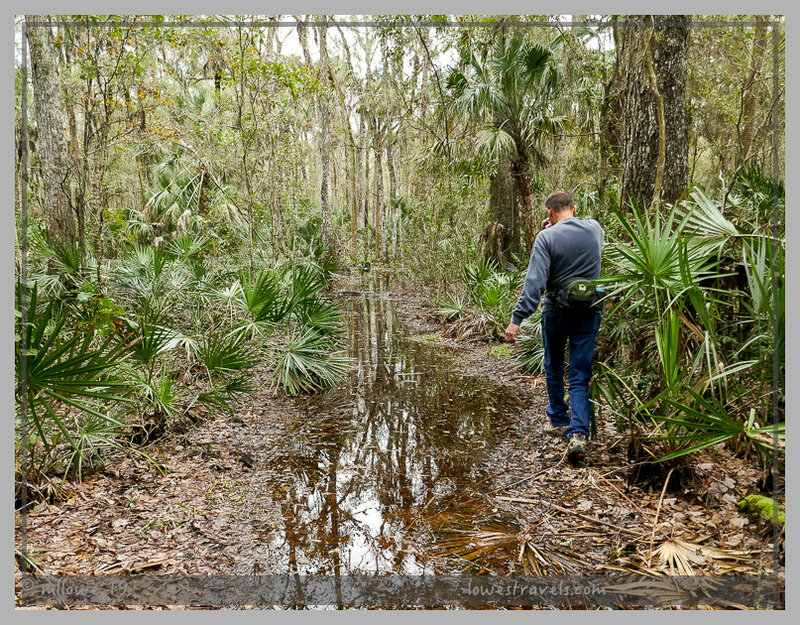 Over halfway around the 3+ mile Seminole trail, we had to decide whether to turn back or try to plod through the shallow, muddy swamp waters. Looking back, we definitely should have turned around as large sections of the trail had been covered by heavy rains. But hey, why turn back once your shoes and feet are covered with muddy swamp slime? The trail got worse and worse, but we were laughing as we just waded through the mess. If we had entered from the other end of the loop we would have hit this almost right away and given up. 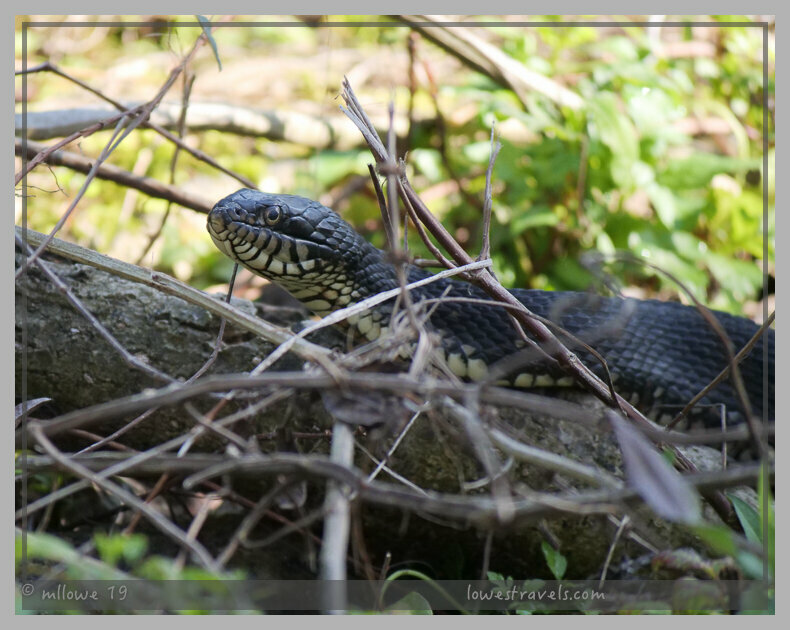 Oh well, at least we didn’t run into any snakes or gators as we squished along! We loved being the only hikers on the trail. 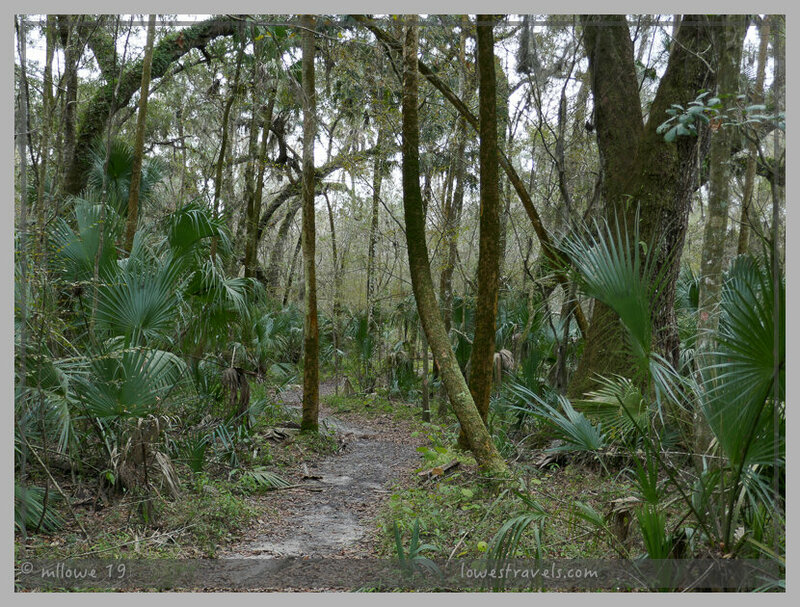 It was a picturesque hike with many cypress trees, live oaks and cabbage palms to enjoy – Old Florida rocks! 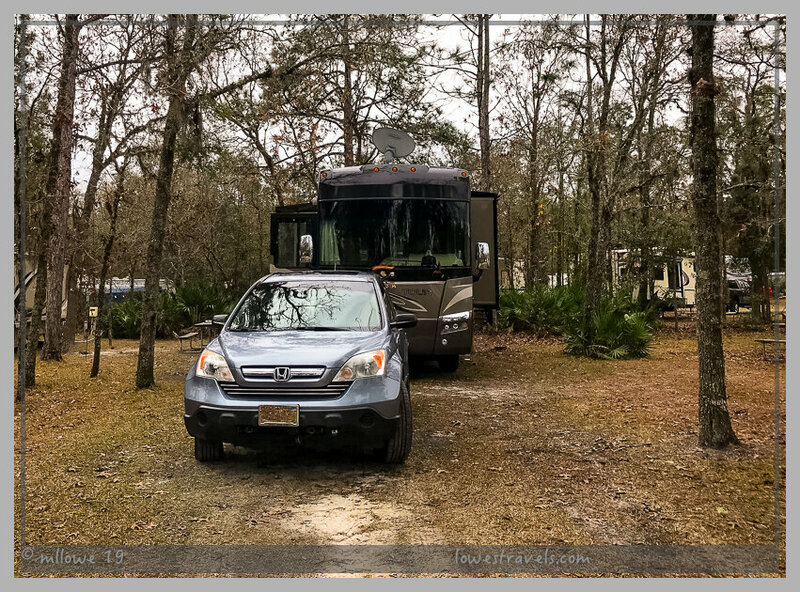 Driving backroads through several small towns, we arrived at our next home base at Rock Crusher Canyon RV Resort in Crystal River. 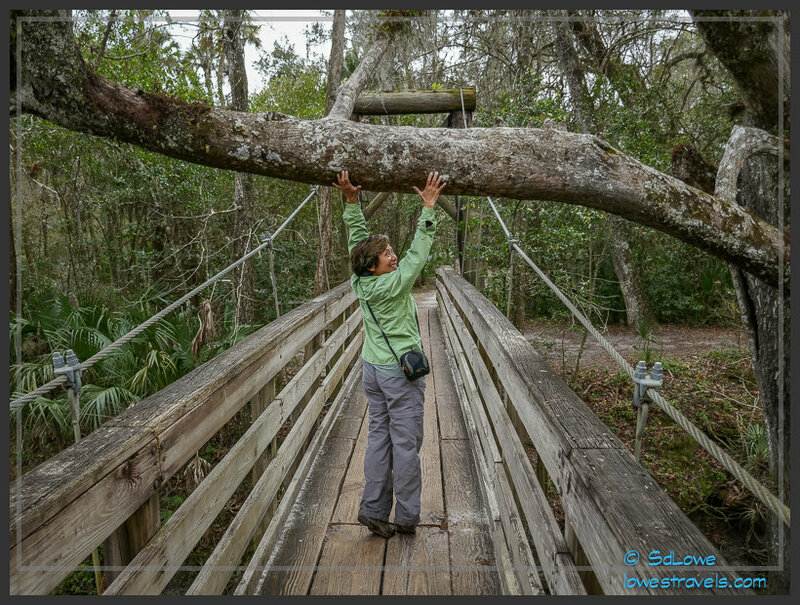 Yes it was a typically huge Florida park, but they pulled it off by offering large wooded sites that we really liked. This is where we’ll stay if we ever return to this area. One of Steve’s favorite birdies (cardinals) were everywhere, so that made it even better! This spacious resort in a wooded setting had lots of nice folks around and was alright with us! We had our priorities in order, meeting fun folks Jim and Barb shortly after setting up camp. Three times was a charm after a couple of attempts to meet up with them in Arizona. 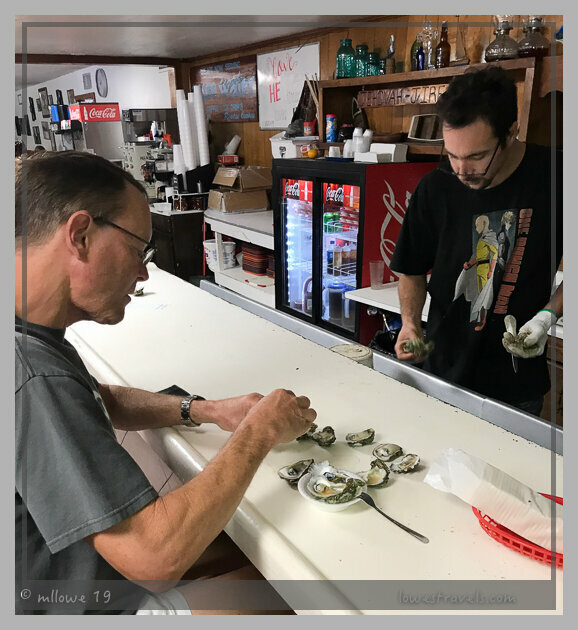 Over beer and excellent seafood at The Freezer Tiki Bar, our conversations included common adventures in Alaska and other places, and news about their new digs in South Dakota. Jim and Barb are super-cool-down-to-earth people that we’d love to catch up with again down the road. 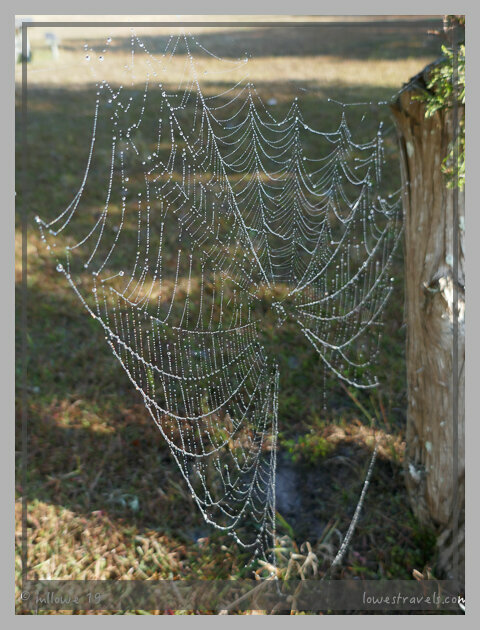 We think the Crystal River area in Citrus County is the place to be while in the “real Florida”. It’s where we experienced mother nature’s theme park while enjoying amazing seafood and the company of some really nice folks. 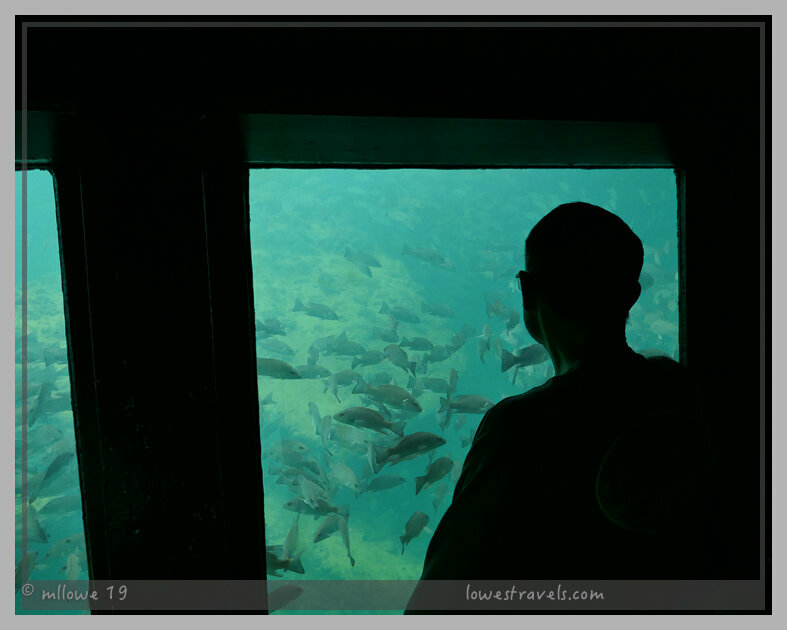 Our first foray here was just as good, and you might enjoy my alone time at Homosassa Springs. This time I dragged Steve along to celebrate my birthday at this happy place, and he really enjoyed it – what a great and unusual state park this is! 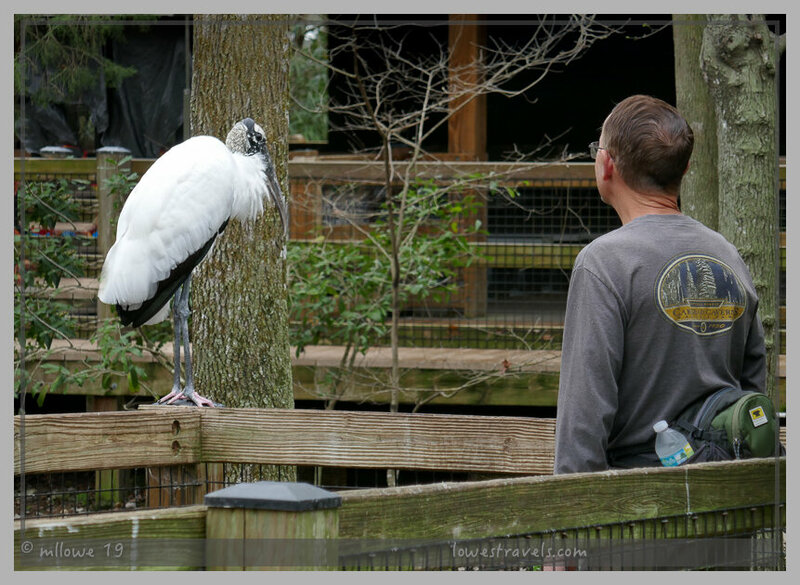 I’m in my happy place when I get this close to my favorite bird – the Spoonbill! A foraging Spoonbill made my day! There were several homes along this stretch of river – we wouldn’t mind having a backyard like this! 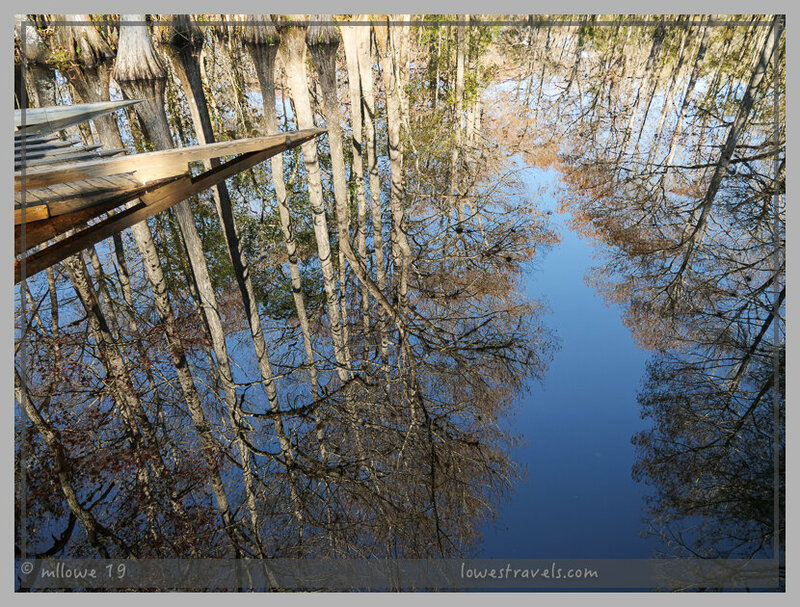 The giant cypress trees we saw at Corkscrew Swamp Sanctuary near Naples are the last stand of commercial-sized cypress left untouched and set aside as a sanctuary for the endangered Wood Stork and American Stork. 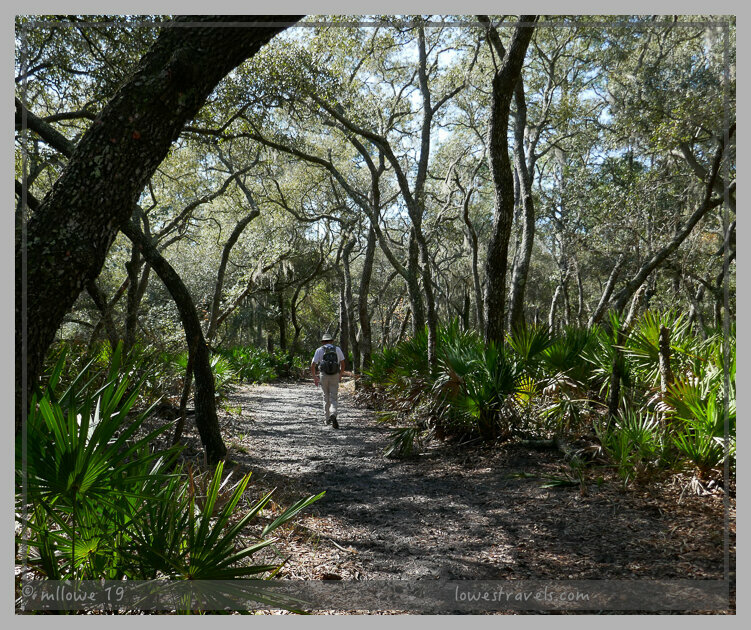 We hiked only one trail in Perry, at Econfina River State Park nestled in the corner of North Florida. 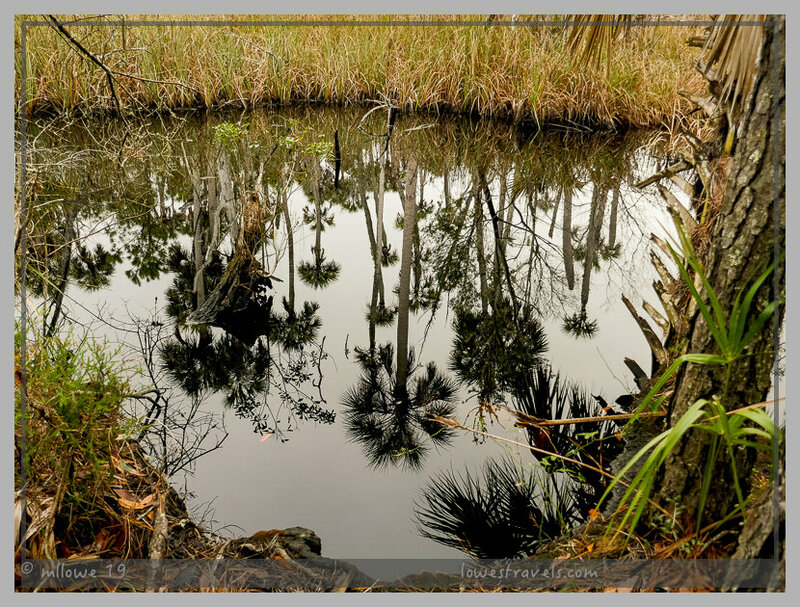 It was a dreary day, but we completed a 7.1-mile meander through Flatwoods, tidal marshes and varieties of oak and Saw Palmetto. We were warned that this is home to black bear and bobcat, but we didn’t see them or even another human being during our trek – loved it! 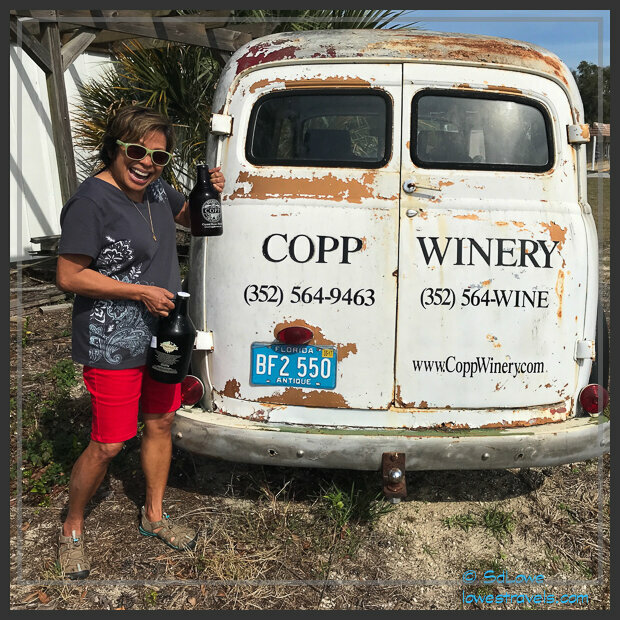 The beer at Copp Winery/Brewery was so good that we added a second growler to our collection! While waiting for our to-go order, the shucker gave us free oysters to sample. He was a good salesman – we bought a half dozen more! 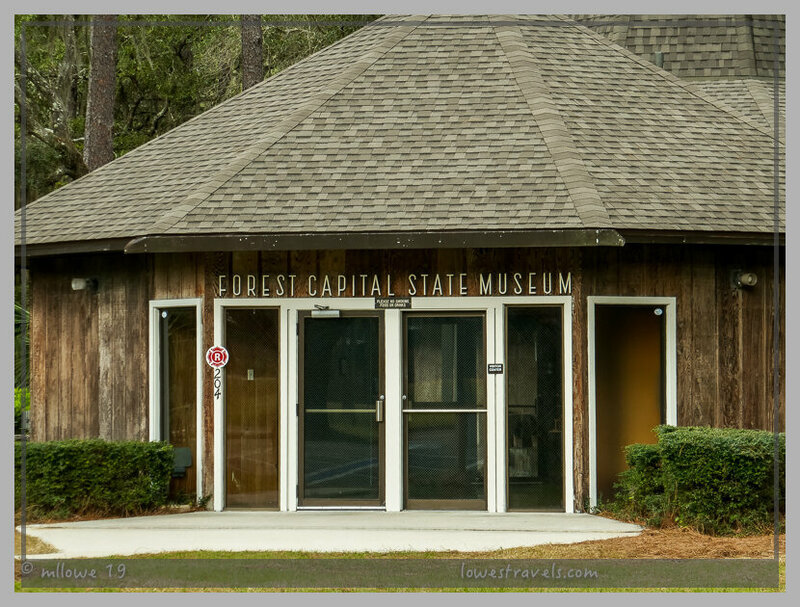 We had so much fun at the Nature Coast that we both agreed this is a must-do place to check out when in Florida! Your timing could not be more perfect. 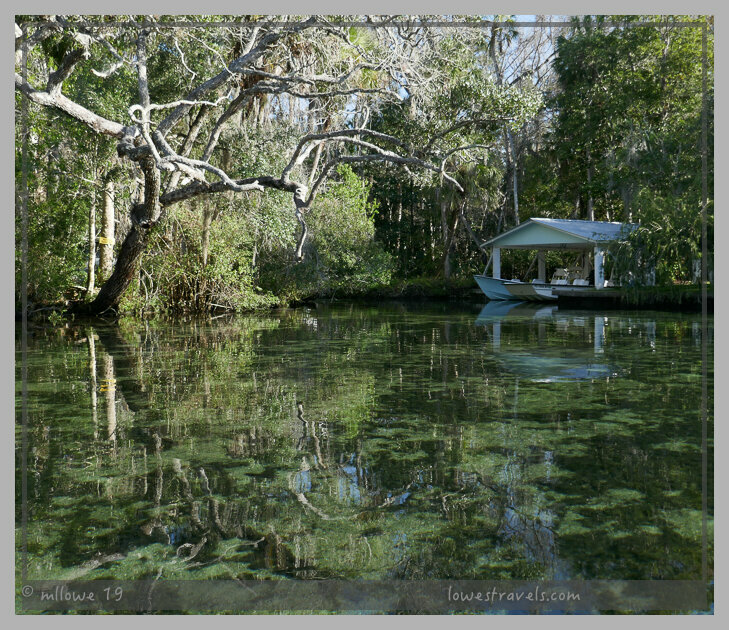 I am deep in the process of making Florida plans for next year and some of these places are new to me. 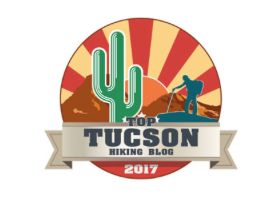 Thanks for the tips on parks and campgrounds. 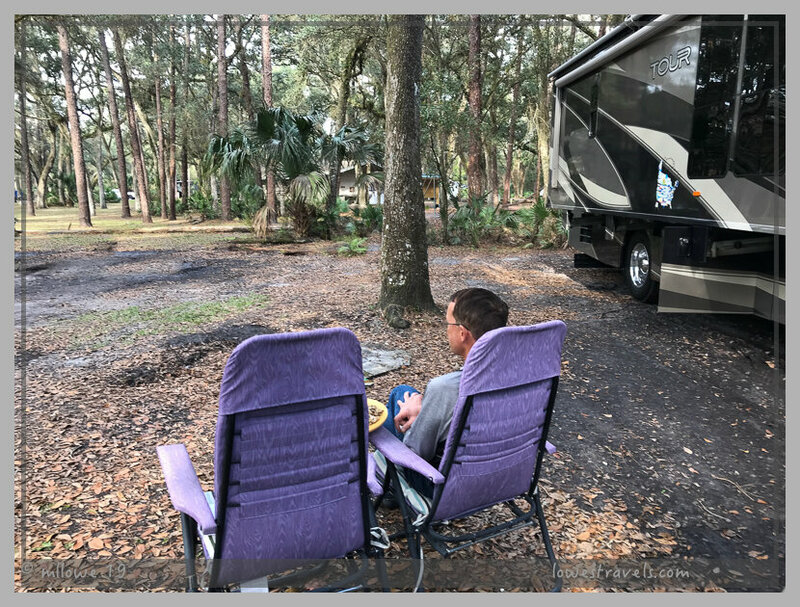 After a couple less than stellar stays in private campgrounds recently, we can’t wait to get back to the real Florida and the real beauty of these gorgeous state parks! Can’t wait to hear more!! Have fun! We both agreed this is the area to be in Florida, uncrowded and less traffic. 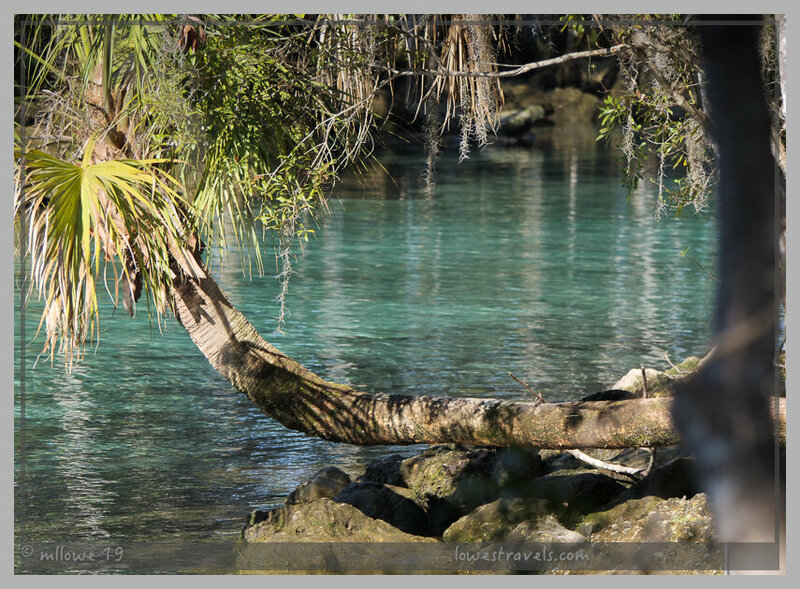 This post shows the real Florida (aside from the beaches) and I know it’s what you’ve been looking for. Glad you found some peace and quiet there finally. 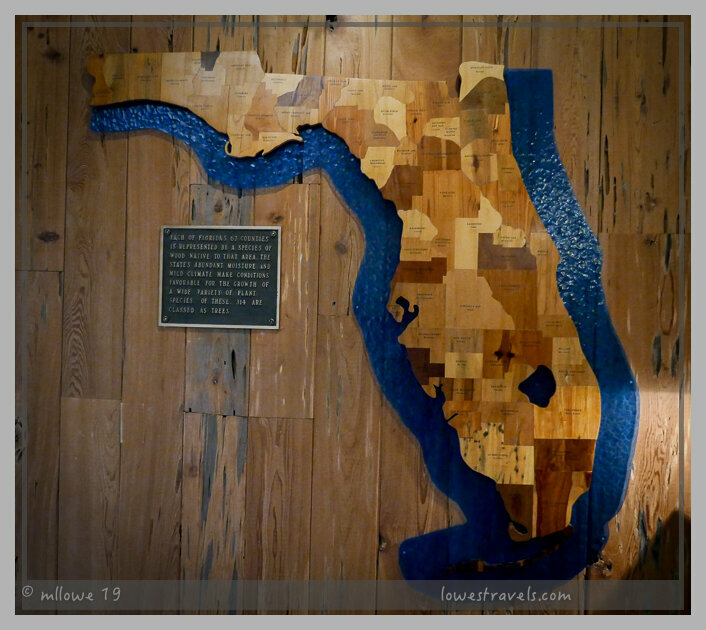 Loved the shots of those crystal clear waters, the manatee’s whiskery nose and that wooden map of Florida. The Rock Crusher RV Park looks like it’s a good combination of place, atmosphere and services. Should you ever want to visit Florida which I doubt you would 🙂 the resort would be our suggestion. Spacious and rustic! So jealous you get to see two of our favorite migrating birds, the raven and chickadee. I cannot wait for the collective bird photos and tales to follow! Have a blast! 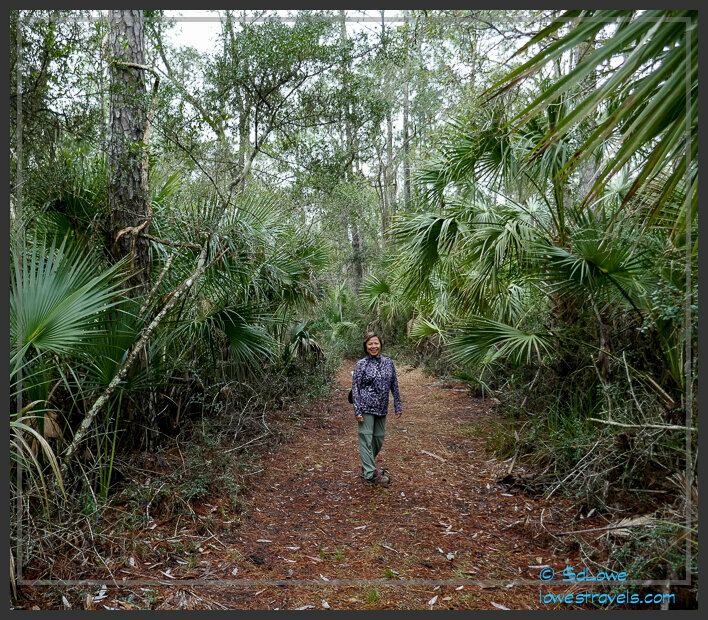 We did enjoy and like this part of FL, uncrowded, less traffic and folks are less harried. Everyone is just having real fun in real Florida 🙂 And yes we enjoyed our time with Raven and Chickadee, reminiscing our first meet up while dining at the same restaurant where we met five years ago. We also love the nature of that area. So cool that you were able to meet up with Jim and Barb. We met them out in the Q 2 years ago. Great pics as always. 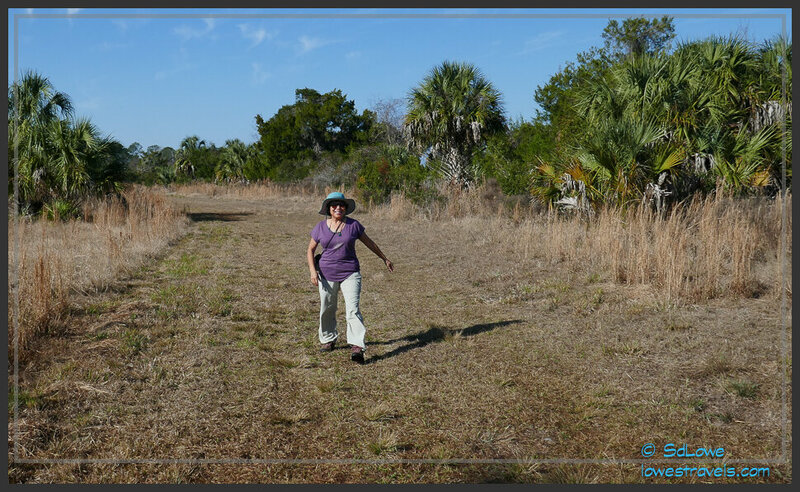 After our month stay in the big city, Citrus County is a great respite from the harried pace we had plus the outdoor fun is limitless. You two really do it right. Loved your adventures. 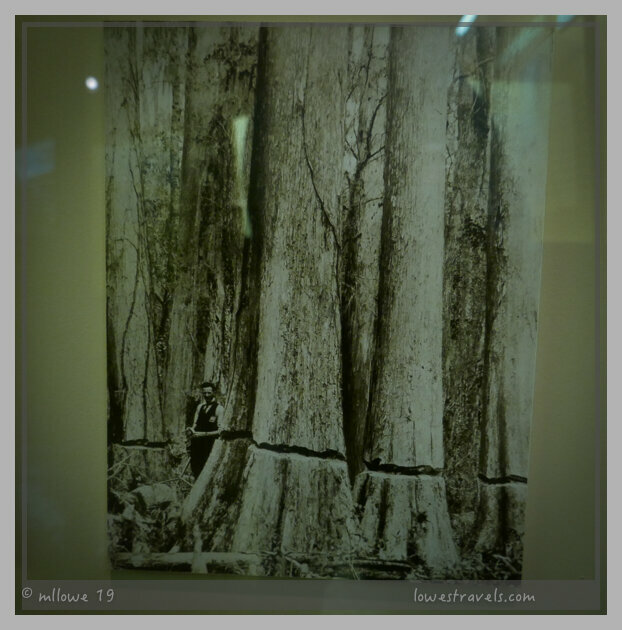 I’m with you – I’m all about nature, hiking and history/info of the area not so much the big city stuff. Thanks for sharing. Thank you, Debra. When we camped closer to nature we are happier and more relaxed. 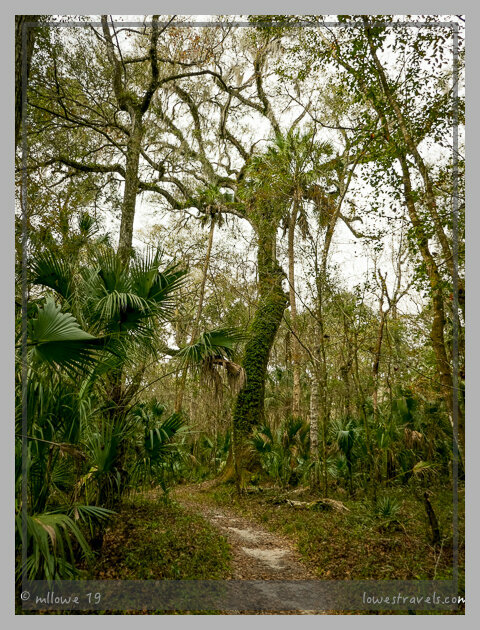 Your photos of Florida are beautiful. You should consider going to Costa Rica. You would love it there. Have a fantastic time! Happy Valentines! Thank you Marcy. 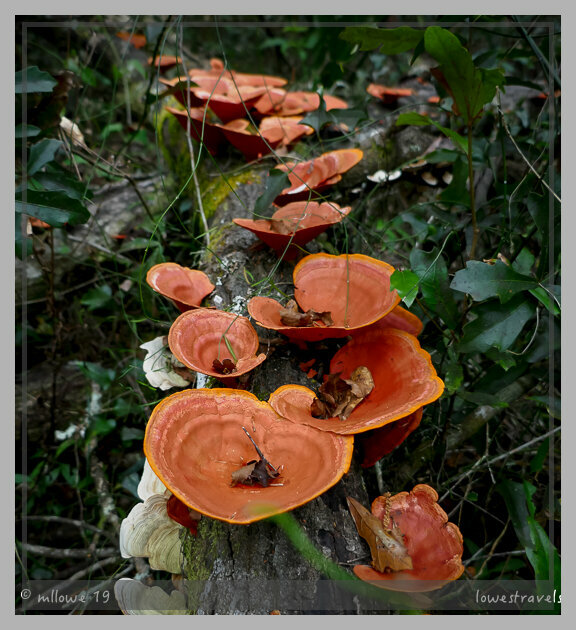 We had a short visit to Costa Rica in one of our cruises and we enjoyed it there too. 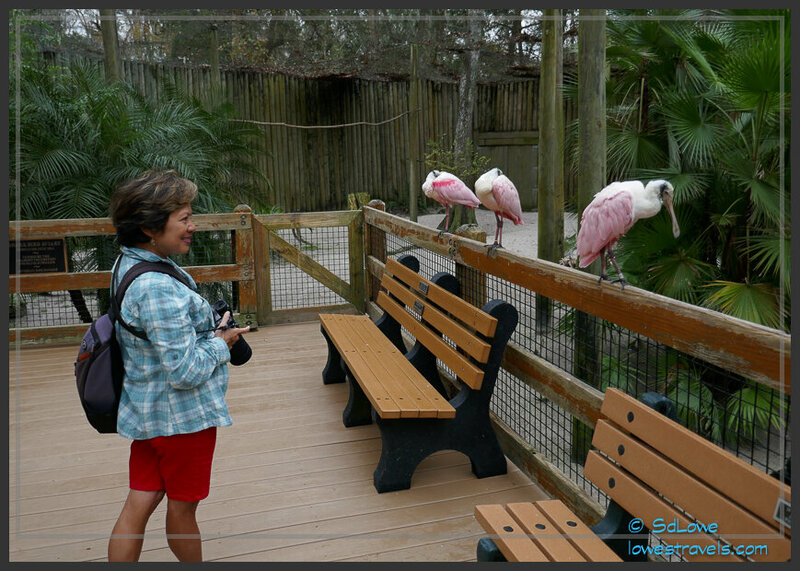 How fantastic to get that close to the spoonbills and stork … I’m jealous 😁 I’ve never explored that part of FL and it does look enticing. Hopefully, we’ll be able to visit Jim and Barb at their SD property this June. This is the only place where the spoonbills stare back at you 🙂 The Nature Coast is where we usually enjoyed the most when in Florida. 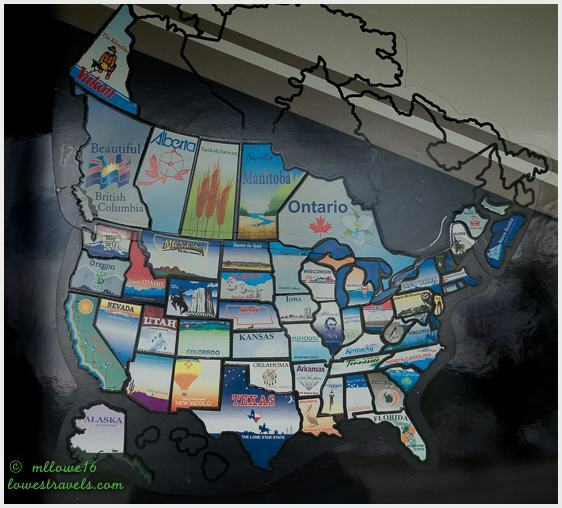 Although we have enjoyed our stay at Topsail, we need to check out some of the other wonderful State Parks! But, if you’re not a planner, it can be so hard to get a site. 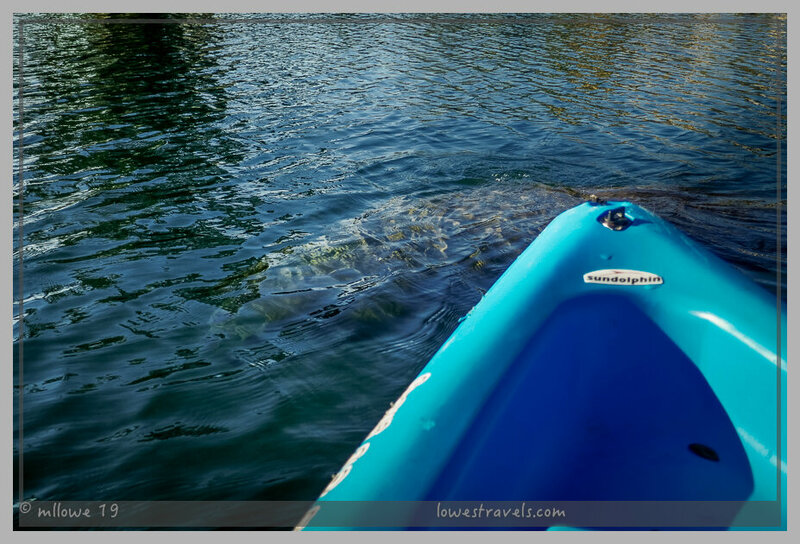 I read that Jim & Barb also got to kayak with the manatees….how fun! Looking forward to meeting you next month & discovering new places & hikes you guys have done! We are still relative “newbies”! 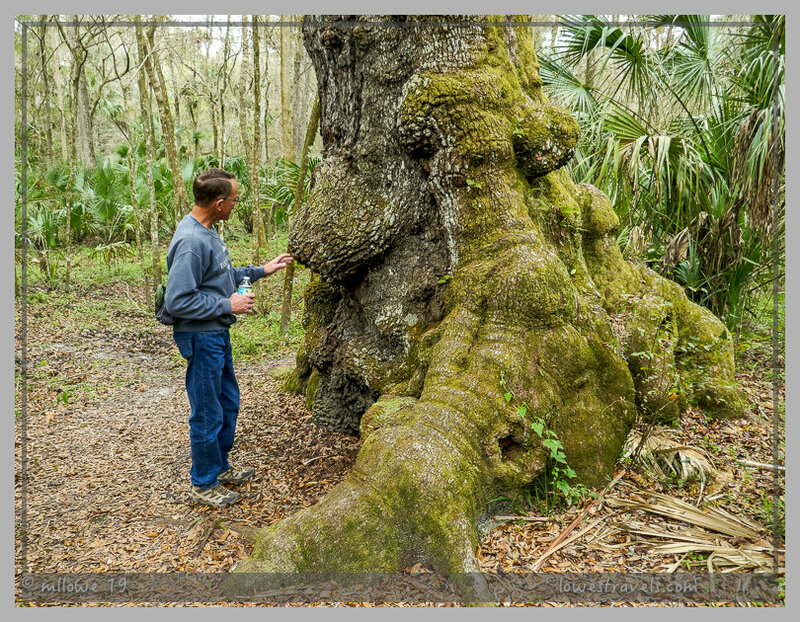 It’s pure patience and luck to snag a site in one of Floridas State Park. Getting a spot at Topsail was pure luck, someone must have canceled and was patient enough to keep checking back. In a few days we will be there soon and looking forward to meet you, Jeff and Rick. Great….we’ll be moving to site 113. Another great adventure. One place I haven’t been yet, but your photos make it look interesting. Another “Bucket List” item. Thanks for sharing. If you don’t care much about beaches, and interested more in the old Florida vibe, this area is the place to get it. Beautiful photo of our favorite part of Florida. 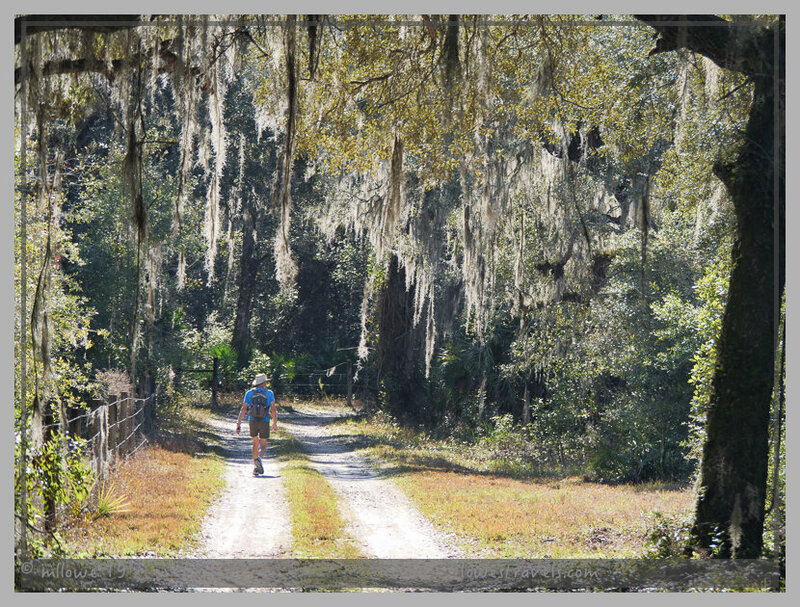 We love Hillsborough River SP. 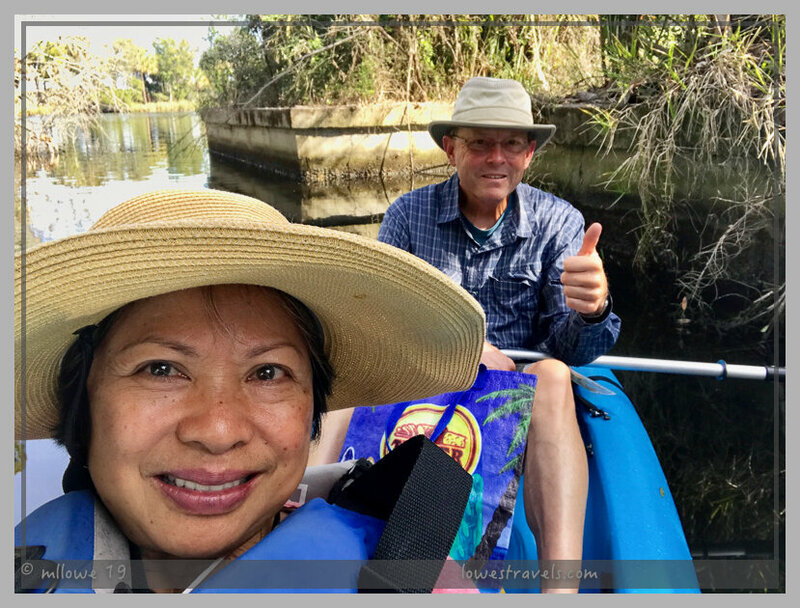 Thank you, Beth, we too had a wonderful and quiet time at Hillsborough River, short but sweet. Now this looks like a part of Florida that i would enjoy! Fabulous photos! Yes, the outdoor fun here is geared to nature. Lisa, you will enjoy it here, a place like no other you had been, the old Florida. We have 4 nights reserved at Hillsborough, looking forward to it before we encounter the craziness. At least most of our stays at not at mega resorts. Our friends live in Citrus Springs and if the weather is nice we’ll be doing some of the local stuff there, 4 nights on their pad. We agree, Jim and Barb are good people, hope to catch up with them this week. 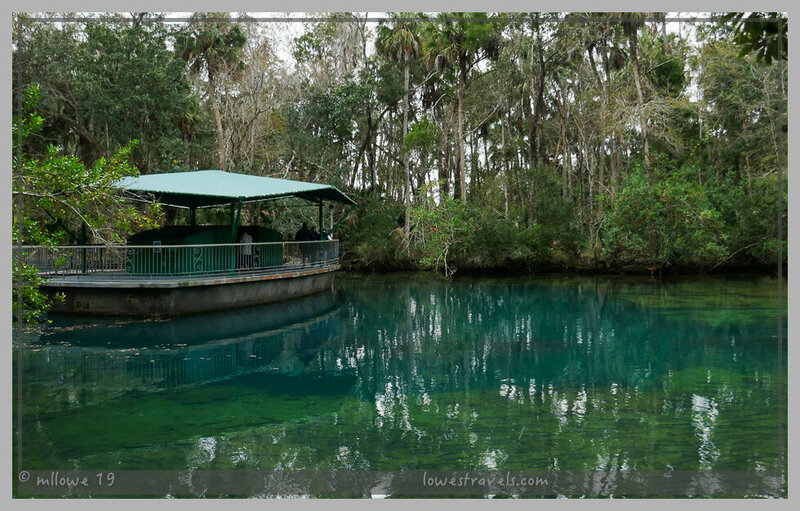 Be sure to take a paddle in one of those crystal clear springs while there. 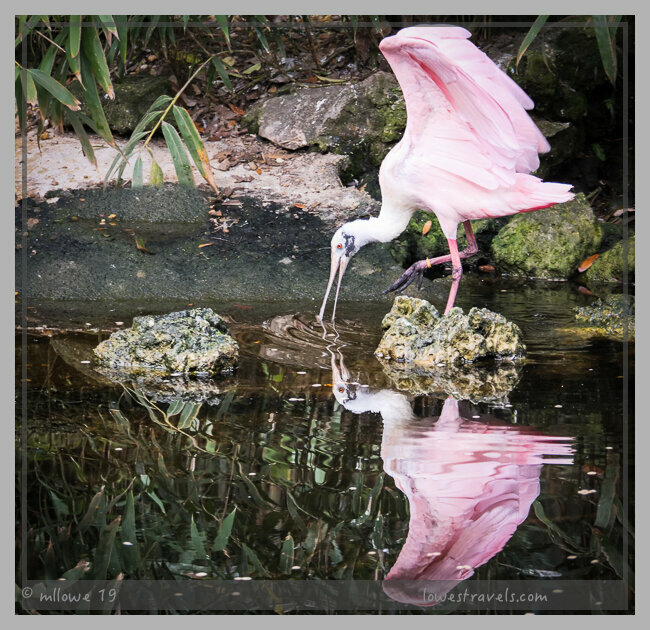 Love the pictures, especially the reflection picture of the Spoonbill. We are in Florida also, but not quite the open space as you two. We are at Daytona 500 camping with a few 1000 of our closest friends. It has been a kick though. Sometimes camping with 1000 other friends is fun as long as it happens only annually. 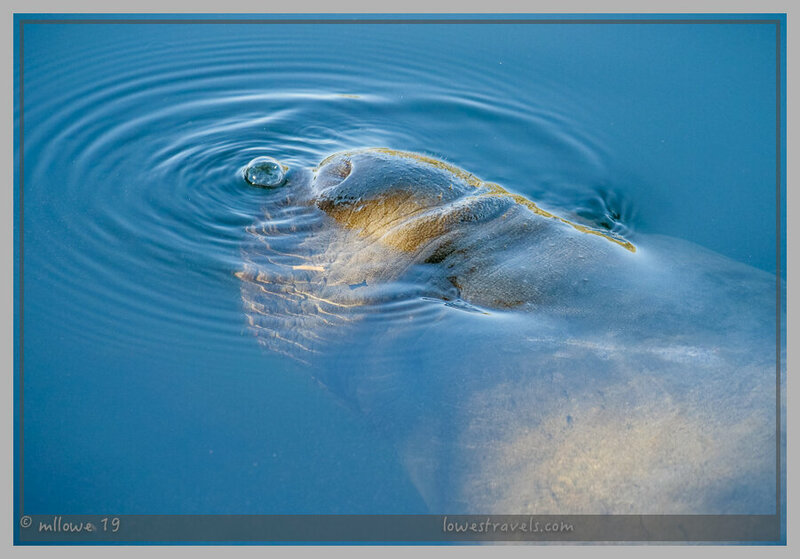 That is such a cute photo of the manatee nose with the air bubble!! 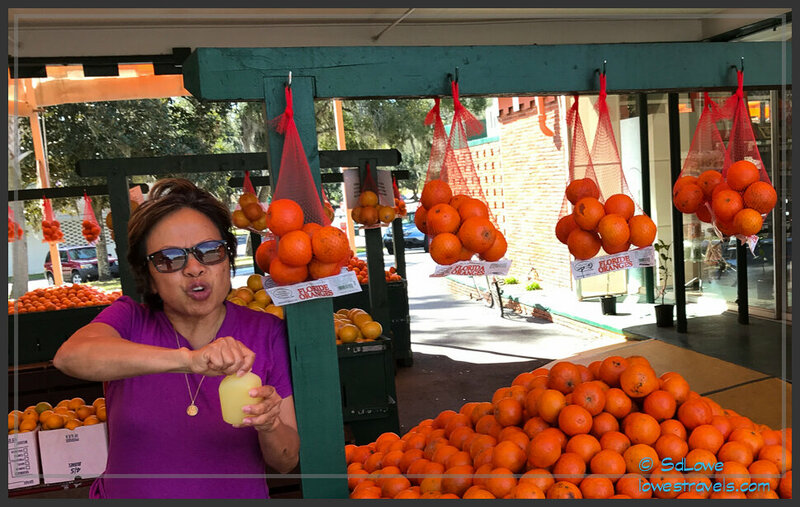 So glad you two are enjoying the “Real Florida.” That’s the Florida I love, too—the oaks dripping with Spanish moss, the beautiful crystal clear springs, the birds, the seafood. 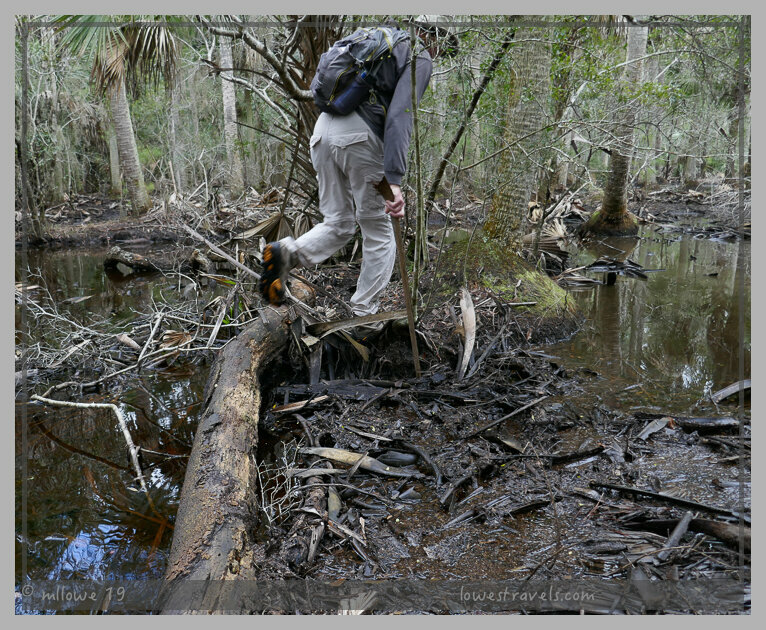 Those swampy trails don’t look like fun, though. You commented that perfectly Laurel! We love this part of Florida for those reasons. Terri, I saw another Red Bellied Cotter not Turtle :). 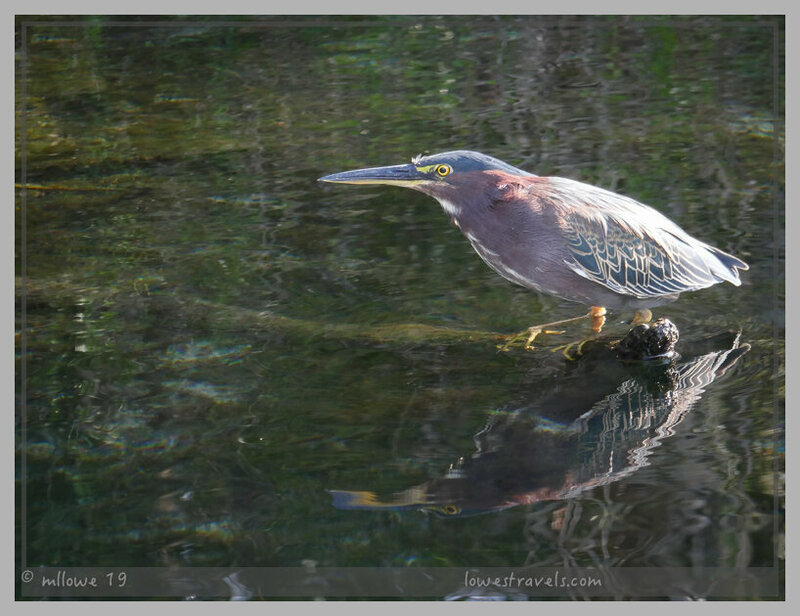 I was corrected while at Homosassa Springs SP. Again, absolutely gorgeous pictures! 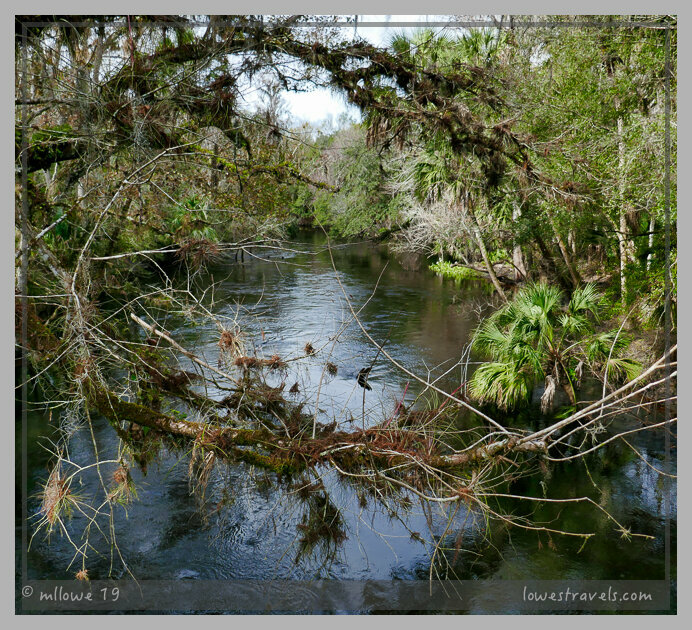 We stayed the the Crystal River area but no where near as nice of site than yours! 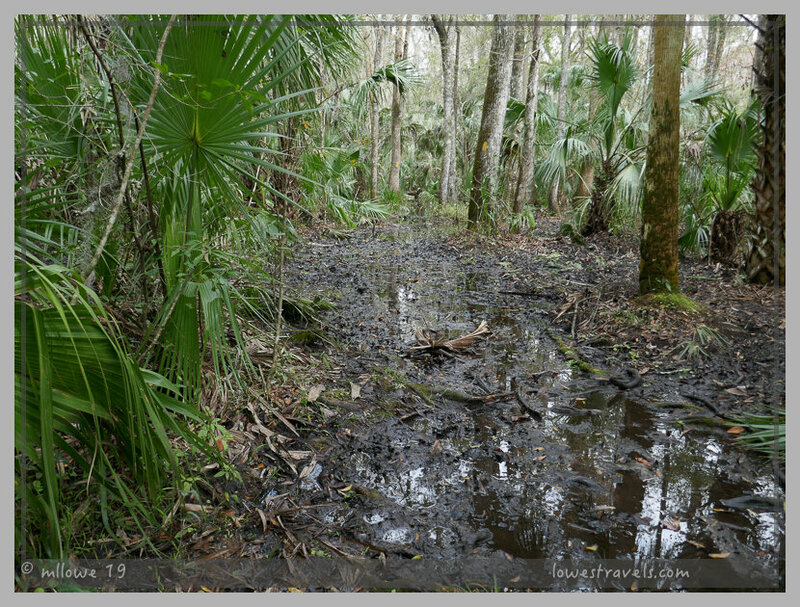 We’ve experienced those swampy conditions, too! What fun! Had we not decided to settle down in Myrtle Beach, we would have been there in the Panhandle. We would have loved to meet you two! 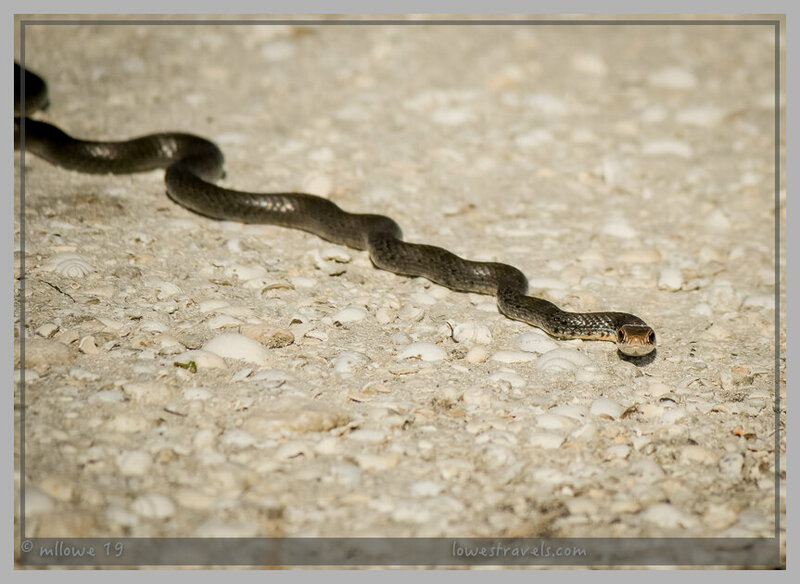 Too bad our path did not cross while in our second and final FL visit. I would urge you to someday visit southwestern AZ where we will be next winter. We still dream of getting to SW AZ!!! We’ll continue to follow y’all so hopefully we will meet in person-and take a hike together! That’s the hardest thing to give up-but we’re heading to the Smokies for a trip to see family-we’ll keep our hiking skills up! So great to finally meet you two! We too really enjoyed our time in the area. Crystal River has so much to offer in the way of adventures. I agree, although it was short it was a sweet meet up. Thank you for taking the time to drive out of your way and not minding going back to the Freezer.